Samsung’s next-generation Note phone will feature advanced artificial intelligence (AI) thanks to enhancements to its digital assistant Bixby. 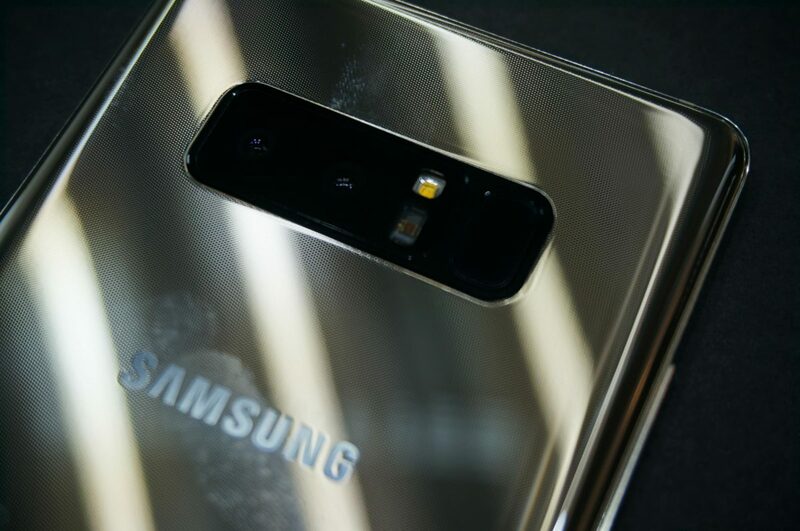 The coming Samsung Galaxy Note 9 will, therefore, be much more useful than existing Samsung phones according to the company’s research chief. Samsung will position the physical fingerprint sensor underneath the display glass. Samsung, thereby, risks falling behind Apple in terms of virtual authentication technologies like facial 3D scanning. Critics claim that Samsung has moved too slowly in regards to virtual recognition and authentication. The company, according to the critics, failed to anticipate technology breakthroughs such as Apple’s Truedepth-technology. So what new hardware features can we expect from Samsung Galaxy Note 9 compared to Galaxy Note 8? The latest Snapdragon 845 processor will make the phone faster than before. Moreover, the 4,000 mAh battery capacity is an improvement compared to Note 8’s 3,300 mAh capacity. Hopefully, Samsung is more cautious this time when launching a Note phone with a large battery as consumers still have Note 7’s fiasco in fresh memory. The dual-lens camera, as well as the design, remain the same. Hence, users won’t upgrade just because of the improved hardware considering the high price tag of Samsung Note phones. Samsung is reportedly disappointed by Galaxy S9’s sales so far and will, therefore, move the launch of Note 9 forward to August instead of the originally planned release in September. A Chinese government department has already approved the phone for sale in China. Furthermore, Apple is rumoured to launch three new iPhones in September. Thus, a launch in August makes sense from a sales perspective. There’s limited information available regarding the pricing of the new phone. The predecessor Note 8 launched at $1,680 including GST. We expect Samsung to price Note 9 around $1,800.